The pre-treatment of the raw water provides protection and extends the service life of the filters downstream, reduce maintenance costs and energy consumption, consequently ensures the reliability and economy of the membrane filtration. Membrane processes are seen increasingly in the most varied industries. The spectrum ranges from the textile industry (treatment of sizing chemicals), food industry (beverage filtration), electro-plating (pickling bath and washing water treatment), pharmaceutical industry (dialysis, product preparation), chemical industry (catalyst separation), metal working industry (splitting of oil/water emulsions), to the production of drinking water and service water from seawater or surface water, right up to the treatment of industrial and municipal water and waste water (membrane bio-reactors). Whilst many of these applications are niche markets, the markets for seawater desalination (nanofiltration/reverse osmosis) and for decentralized waste water treatment using submerged membranes (micro/ultrafiltration) have by now increased to several thousand million Euros. All waste water and water treatment processes where membranes are used are fundamentally multi-stage processes. Microfiltration and ultrafiltration require only pre-filtration of coarse contaminants (>50 µm), where as with nanofiltration and reverse osmosis there is a further requirement that the raw solution should be free of particle and colloidal contamination. This explains why good pre-treatment of the raw water is so important, to be able to ensure reliable and above all economical membrane filtration. In addition to mechanical pre-cleaning using conventional filters, chemical, and physicochemical processes are also often used in the pre-treatment for membrane processes. The first step in pre-treatment generally consists of coarse filtration. This removes the coarse-grained solid material which can penetrate the system from the raw water. Screens or coarse filters in sizes 1 to 5 mm are used. In the next stage, the raw water is further treated to obtain the required raw water quality for the membrane filtration which follows. This can be done both by using mechanical fine filtration and also in combination using physicochemical processes such as coagulation, flocculation, and precipitation. Membrane filtration is usually followed by an after-treatment, e.g. disinfection. Depending on the quality of the raw water and the water quality required after treatment, the engineering processes are adapted to the special requirements. For HYDAC Process Technology division, pre-filtration upstream of membranes is an important market sector. HYDAC products such as the automatic back-flush filters AutoFilt® RF3 / RF4 / RF5 / RF7, the AutoFilt® TwistFlow Strainer ATF and an array of strainer filters and inline filters are available for these applications. With its new depth filter PLF1, HYDAC has the perfect high-flow fine filter which will protect the membranes effectively. The following examples show a selection of typical pre-treatment processes. Cost reductions in water treatment are achieved primarily through well-engineered pre-treatment methods because they have a sustained impact on the downstream membrane processes. In the following typical process, the pre-treatment consists essentially of a combination of coarse screens, back-flush filters, and candle filters. If a sand filter is used for water treatment, the RF3 can also be installed upstream of it in particular cases. However, since the sand filter is a depth filter which, when operated correctly, can remove foreign matter right down to a few micrometers nominal in size, it has to be decided on a case by case basis to what extent a back-flush filter can relieve the sand filter. Increasingly membrane filters are also used in the pre-treatment stage. Here microfiltration or ultrafiltration membranes are used to treat the raw water to a degree where it can be fed to the reverse osmosis system. 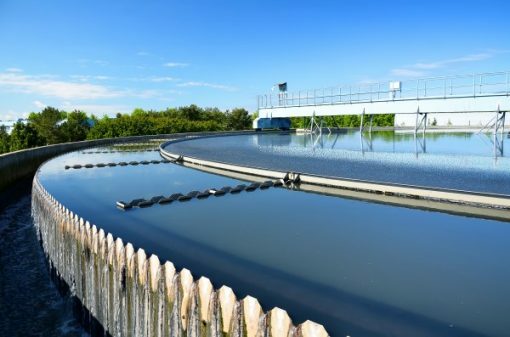 In many water treatment plants where drinking water is produced from bank filtrates, one frequently used treatment process consists of pre-treatment using fine filtration with downstream reverse osmosis. Contamination retention capacity and service life of the fine filters can be crucial to the economy of the whole system. In order to extend the service life of the candle filters, a HYDAC automatic back-flush filter AutoFilt® RF3 has been retrofitted upstream of the fine filters as part of a pilot project. This study showed that the back-flush filter provides ideal protection for the candle filters. The particle contamination which consists of fine sand can be removed continually from the raw water and consequently a significantly longer service life is achieved in the fine filter candles. Retrofitting with the back-flush filter in the water treatment works will pay for itself after a short time and will demonstrate the economical and technical advantages of this concept. In addition, it has been demonstrated that retrofitting the HYDAC AutoFilt® RF3 in an existing system is perfectly possible due to the small space requirement and its versatile configuration. Furthermore, thanks to the self-cleaning, robust stainless steel filter elements, there are no recurring costs to consider. In the meantime, this concept has already been successfully implemented in numerous other water treatment plants which had similar problems with fine sand contamination. Fig.2: Comparison of the differential pressure increase across the candle filter elements, with upstream RF3, and without RF3.